Oh, fellow writers. So, while I work on the revision of what will be my fourth published novel (my sixth written novel, and none of this is counting any of the work-for-hire novels I’ve ghostwritten), I look up and keep seeing this ugly face in the mirror. I thought, by now, now I’m writing book #4, surely, surely I’d have vanquished it by now. But no. The funny, though not really ha-ha, thing I’ve learned as my career as an author moves on is that the doubts don’t go away. In fact, I could swear that they are all the more heavy on my shoulders and heavy-breathing in my ear than they ever were when I was first starting out, and surely before I published. Before I published, I had no idea what would happen in the “real world” once my books hit the shelves. (If they even did.) If I got so lucky, would my books be despised, lauded, ignored, used as a stepstool to climb up and get a better book? All of the above, it turns out, but when you are in that place in your career when you don’t yet know, when the road before you is hazy and fogged up and could lead anywhere at all… Well, anything could happen. I felt oddly positive back then. I had doubts, sure, but I also had so much blind hope. So many dreams. So much possibility. Now here I stand with the third book—17 & Gone—out last spring and due to come out in paperback this March, and my fourth book—The Walls Around Us—getting closer and closer to what I want it to be as I work through this revision. 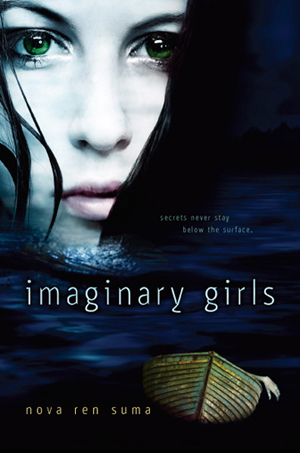 And while I do look at my pages and realize I’ve learned so much and have gotten better as a writer, I find myself doubting so much more often than I did before my first book—Dani Noir—and then my first true book of my heart—Imaginary Girls—came out. The doubts are now something I war with every single morning as I sit down to write. I look ahead now and I see the road. I see all the turns in the road. All the potholes. All the steep hills and the far drops. I don’t want to drive that road. In truth, as we all know, I can’t really see ahead to the road (none of us can see the future to what will happen when our books come out, it’s always a mystery), but because I’ve been on the road a few times by now, I think I know what to expect and it’s coloring everything I’ve yet to experience. It’s damning. I wish I could pluck some of my old innocence back and just write away, lalala. And yet, I’ve also learned so much from my previous experience and I want to build on that and grow. 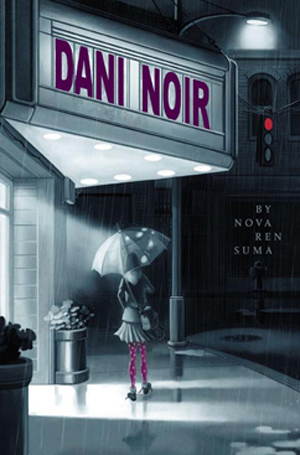 The truth is, you only get one (possibly two, as I did in a way, because not too many people knew about Dani Noir, and it was middle-grade) chances at a debut. I tell myself that, in a way, each new book is a new shot and a new chance at being the best you can be… But I also know that, in a way, each new book after the first one is jumbled up with what happened before. You can’t truly separate yourself, even if you change your name. (Sometimes I wonder about that.) Readers remember. Publishers remember. Bookstores remember. And you remember. I think all of that has only made me doubt MORE. How is it possible to have learned so much, to have gained confidence as a writer and at the same time lost it and question everything? I’m beginning to see that this is just a natural part of the publishing process for some of us. It’s a piece of this job. So now the job grows to include ways of getting past this. So each morning when I sit down at the café table to write, I have to make the daily effort to sweep the doubts away. I don’t look in the mirror at the monster. I avoid picturing the road ahead. I try very, very hard to think nothing about the after. I have to think only of the here-and-now, which is all any of us can control anyway. The here-and-now of writing this draft at this café table this morning. Fellow writers, those of you who share my affliction, help me out here: What cures your writing doubts and how do you face down your doubt monster? That last piece of advice is so magical. Seriously gave me a lump in my throat. Thanks for reminding all of us that doubt is just a natural part of the ebb and flow of being creative and not a reason to panic. When we first met, it was a few years later (we were in our early 20s) and you were finishing the first novel, the very first one. When I think of that girl, I know exactly what she dreamed of being, and it was YOU. Annika, I think I’m going to have to put this comment in that special folder I have. Thank you for this. I think this is part of a writer’s DNA. Although I am not a traditionally published author (yet), I do have self-pubbed books and small press books out. Each time I write one I am sure I’ll never write another book agan. But somehow I do. When the doubt monster kicks in I think back to when I was fifteen and had my first poem published and how happy that made me. That joy and excitement of being in print for the first time can never be duplicated but if I hold onto that moment and why I wanted to write in the first place, it helps. Those are great tips. Especially about going back to the start, like writing as your younger self, but with all these great skills you’ve earned since then. awesome post! It’s nice to hear other authors struggle, it let’s us know we’re all in the same boat! 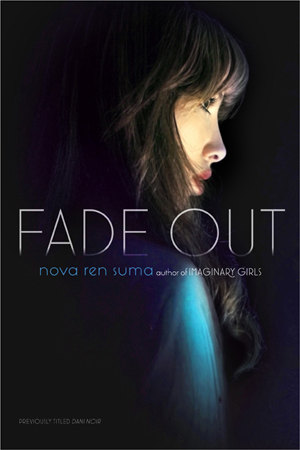 Thanks for sharing your struggles, Nova! It’s encouraging to know someone as talented as you faces it as well. Doubt monster eating me alive! I’m trying hard not to look it in the eye. All part of the territory I’m afraid. Good days and bad, lIke anything I suppose, but keep those positives close. They have super-powers and will always squash the boogie-boogies from getting us. By the way, residency is working out well. Amazing how your focus shifts, or centers. Just love it! I end up reading something I wrote a long time before that I know that I love and that renews in me the faith that I can write that way again. A sort of snake-eating-its-own-tail thing, but it usually works. It’s good to know I’m not the only one with these fears. 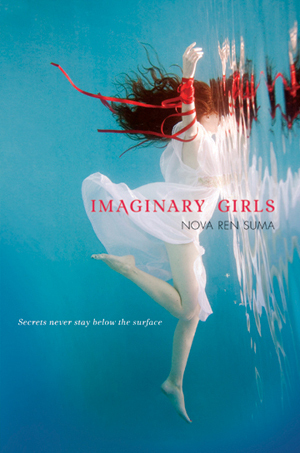 Check out Nova’s blog and books — they’re both fantastic! Love your advice for dealing with doubt. I just keep plodding away and hope for the best. I’m a little late for this one, but I just caught up on my emails. It’s comforting hearing a published author face the doubt monster. I refer to mine as the doubt demon. I will be sure to follow your great advice the next time my demon decides to make an appearance.